I love a challenge and today, mine was to create a complete Plant Based Thanksgiving On a Budget with the 99! 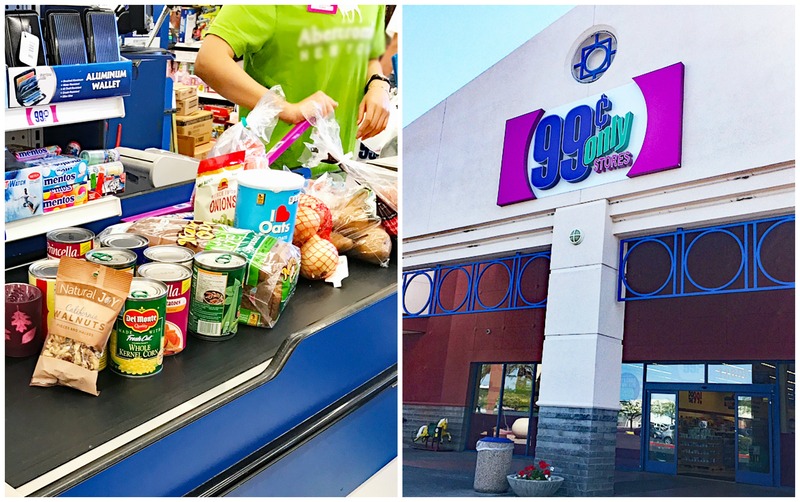 99 Cents Only Stores are located in California, Texas, Arizona and Nevada, so if you are lucky enough to live in one of these states, let’s go holiday shopping at the 99! I began with a shopping list that included ingredients to prepare some of my favorite Thanksgiving recipes and a budget of just $25 to feed a family of four. Along with every day items you already have in your fridge or pantry, we’ll be making a traditional stuffing, green bean casserole, creamy mashed potatoes with “turkey” gravy, creamed corn, candied sweet potato casserole, an easy biscuit and serving with a side of jellied cranberry. But that’s not all, I’ll be sharing a brand new recipe for a cinnamon apple and pear crisp! Here is a look at my grocery haul where I spent just $23.95 (I even got two candles for my table display). The 99 offers fresh and affordable produce which was on point when I visited. I literally found everything on my list at my local Phoenix, AZ 99 Cents Only Store! Since it would be impossible to put all of these recipes in the printable section, you’ll find just the new recipe for the Cinnamon Apple & Pear Crisp there. 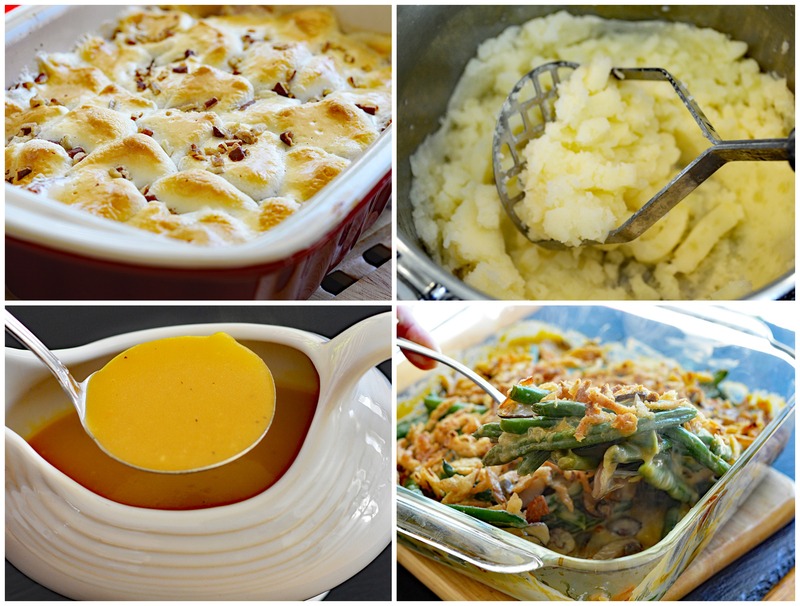 You can find full recipes with instructions for all of the others linked on my two sites here: Sweet Potato Casserole, “Turkey” Gravy, Green Bean Casserole and I kept the mashed potatoes simple…just a little butter, almond milk, salt and pepper to taste. *If you are following a vegan diet, the only ingredient you would need to locate at a specialty store (or online) are vegan marshmallows. Everything else purchased today was vegan-friendly. I also made Homemade Vegan Creamed Corn, Traditional Stuffing, this Biscuit recipe and served with the cranberry we purchased. I knew I wanted to prepare a brand new recipe for this post and that it would be a dessert, but decided I would see what struck me while I was there. I was thrilled to find bags of apples and pears and with some quick cooking oats, created this Cinnamon Apple & Pear Crisp! There is always something new and exciting and since new inventory arrives daily, you never know what you’ll find when you “do the 99“! 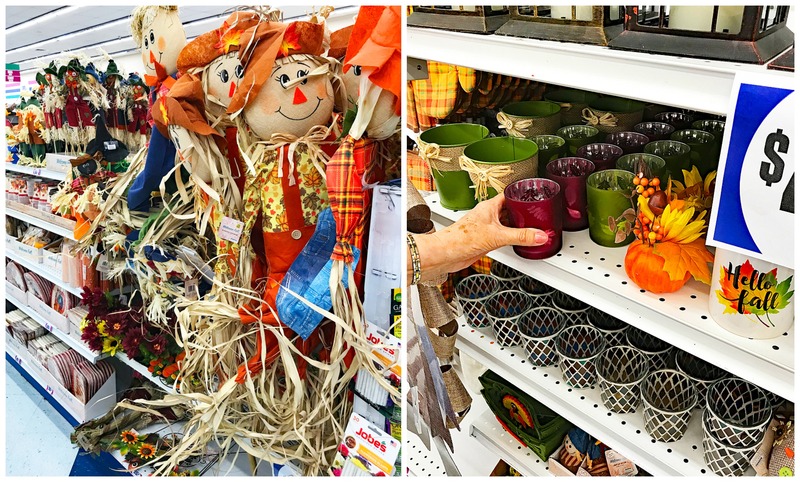 There are great deals throughout the store and we took some time to shop the holiday section. I ended up scoring these glass candles that matched our home decor perfectly! I had so much in my basket, I was a little concerned I wouldn’t stay under my $25 budget! Here is the breakdown of everything I purchased today. What is so great about this, is that many of the items such as carrots, celery, apples, pears and potatoes will leave you with enough to make additional meals and desserts. And again, you will supplement with just a few basic items from your fridge and pantry to create the amazing recipes above, each of which serve serve 4 to 6 people! 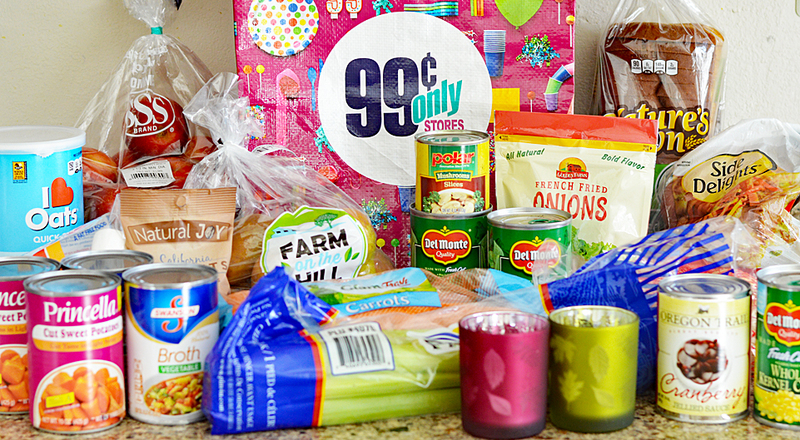 Shopping at the 99 helps you stay on budget. This receipt would have been substantially more at pretty much any other retail store! 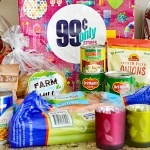 You can follow 99 Cents Only Store on Facebook, Instagram, YouTube and Twitter. Preheat oven to 350 degrees and prepare a baking dish with cooking spray. Combine all of the filling ingredients and evenly distribute into your baking dish. To make the topping, simply combine the flour, brown sugar, and cinnamon with a whisk. Using a pastry blender or two forks, cut the vegan margarine into the flour mixture until it resembles coarse crumbs. Add the oats (and nuts, if using). Sprinkle over the filling. Bake for about 40 minutes or until the topping is golden and the juices are bubbling.